PANACeA - 'Streamlining management efforts in Protected Areas for an enhanced Protection in the Mediterranean Sea' is organising a side-event to the Convention on Biodiversity Conference of the Parties in Egypt on 27 November 2018. The event, ''Ecosystem-based approaches to managing transboundary and cumulative impacts in the Mediterranean with a special focus on marine plastic litter and climate change”, will present methods and processes that are scientifically and politically relevant to better implement EBM in the Mediterranean. 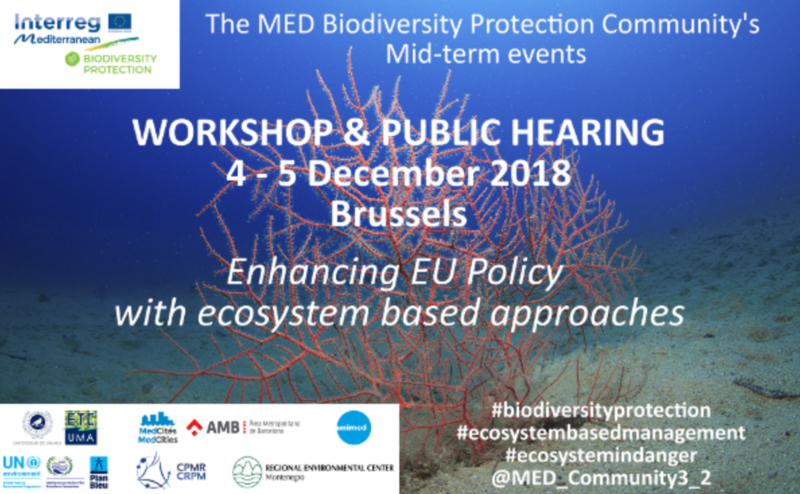 The project is also organising a workshop on "Ecosystem based approach: benefits for people and nature" and public hearing ''Mediterranean ecosystems in danger: Enhancing EU policy response'', in Brussels on 4 and 5 December 2018.